Mila J fancied her musical styling in the same light as her singing and rapping idols TLC and Missy Elliott. Add to her singing and rapping combo her passion for dancing and ability to write song lyrics, and it seemed apparent that this Los Angeles native aimed to achieve the same level of acclaim and prosperity as those pop icons. 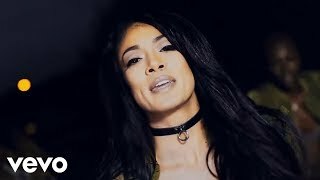 Born of black, Japanese, and Native American descent, Mila J (real name Jamila Chilumbo) started rapping, according to the singer, at the age of four, inspired by a deep admiration for the Fat Boys and the '80s cult hip-hop movie Krush Groove. Because her father was a studio musician, the music bug was in the rest of her family as well, namely her sisters Jhené and Miyoko. Her break into the music industry occurred at the age of nine when she met the owner and CEO of The Ultimate Group, Chris Stokes, at a video shoot for his group Immature; in addition, she caught Stokes' attention with her appearance in Prince's "Diamond and Pearls" video in 1991. Mila J went on to dance professionally for Stokes and Immature between the ages of 12 and 15. Along with Miyoko, she was a member of the Stokes-driven Gyrl, who released singles for Silas/MCA. Several years later, she was part of the shorter-lived Dame Four, yet another Stokes venture. She then went solo. Her petite vocals could be heard on the 2006 singles "Complete" and the charting "Good Lookin' Out," which built up anticipation for her debut album, Split Personality, which was scheduled for release on Universal Motown but was ultimately shelved. After going by the name Japollonia, she reappeared on Motown as Mila J with the 2014 single "Smoke, Drink, Break-Up." Another single, "My Main," arrived before the release of her M.I.L.A. EP that October. In 2015, she collaborated with Jodeci and BC Kingdom and issued a pair of mixtapes (The Waiting Game and Covergirl) as well as the single "FreakNic." Along with her 213 EP, the following year saw Mila J work with Timbaland on the song "Don't Get No Betta." Early in 2017, she dropped the single "La La Land" and the MILAULONGTIME mixtape ahead of Dopamine, which appeared that April and featured a cameo from I Rich.